The Additive Property – This rather ‘techo’ term simply means to ADD the value of each symbol to arrive at the final number . 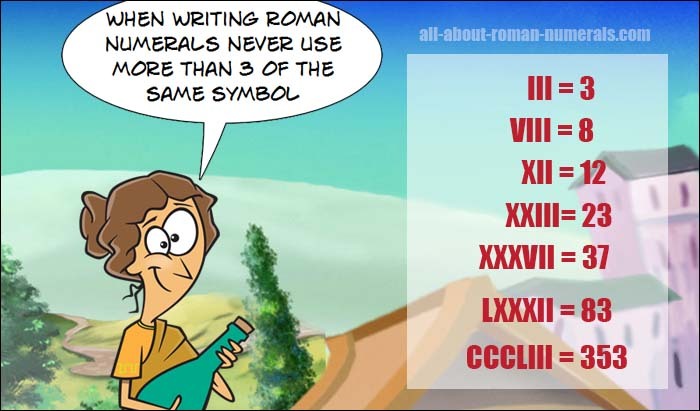 – When writing roman numerals NEVER use more than 3 of any symbol. – When smaller numerals are on the right hand side of bigger ones ADD them to the larger. Analyze the examples on the parchment. Work out how the symbols are added together to get the final answer. – What is LXI in our number system?